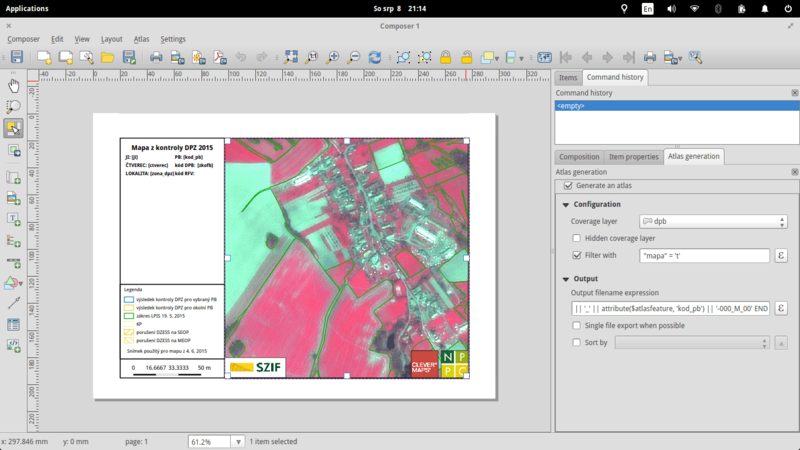 Since version 2.4.0, PostGIS can serve MVT data directly. MVT returning queries put heavy workload on the database though. On top of that, each of the query has to be run again every time a client demands the data. This leaves us with plenty of room to optimize the process. During the last week, while working on the Czech legislative election data visualization, I’ve struggled with the server becoming unresponsive far too often due to the issues mentioned above. Flask backend writes the response to the filesystem and sends it to the client. Other clients get tiles directly from the filesystem, leaving the database at ease. Nginx is fairly simple to set up, once you know what you’re doing. The /volby-2017/municipality/ location serves static MVT from the given alias directory. If not found, the request is passed to @postgis location, that asks the Flask backend for the response. If you’re going to serve static tiles that don’t change often, it might be a good idea to use PostGIS to create files in advance and serve them with Nginx. Using mercantile, you can create the tiles table holding the bounding boxes of the tiles you need. PostGIS them inserts the actual MVT into the mvt table. Once filled, the table rows can be written to the filesystem with the simple piece of Python code. 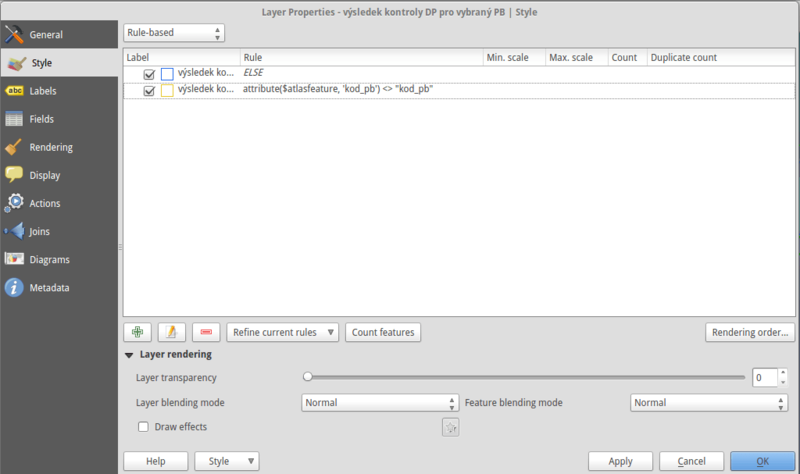 PostGIS is a brilliant tool for generating Mapbox vector tiles. Combined with Python powered static file generator and Nginx, it seems to become the only tool needed to get you going. I spend a lot of time reading PostgreSQL docs. 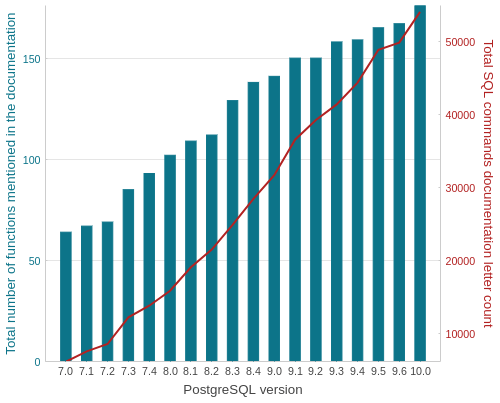 It occurred to me just a few weeks ago that those versioned manuals are great opportunity to get an insight into PostgreSQL development history. 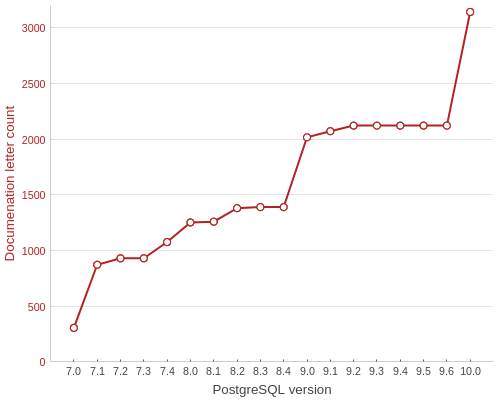 Using PostgreSQL, of course. Seems like a huge comeback for CREATE TABLE. Poor REVOKE, the defeated champion. Something’s going on in an upcoming 10.0 version. All the data was obtained with the following Python script and processed inside the PostgreSQL database. Plots done with Bokeh, though I probably wouldn’t use it again, the docs site is absurdly sluggish and the info is just all over the place. 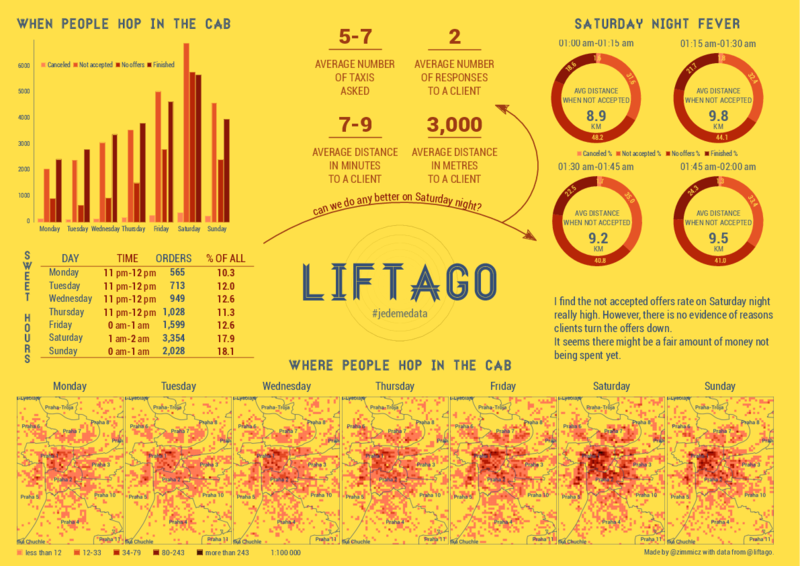 Liftago (the Czech analogy of Uber) has recently released a sample of its data covering four weeks of driver/pasenger interactions. Have a look at my infographics created with PostGIS, Inkscape, Python and pygal.